How to clear cache on iPhone? 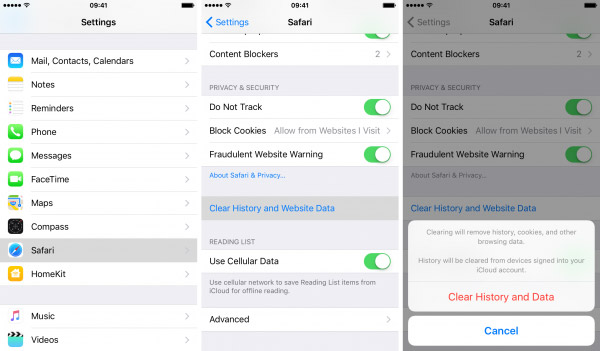 This quick guide shows you simple ways to clear iPhone app and Safari cache to free up more space. 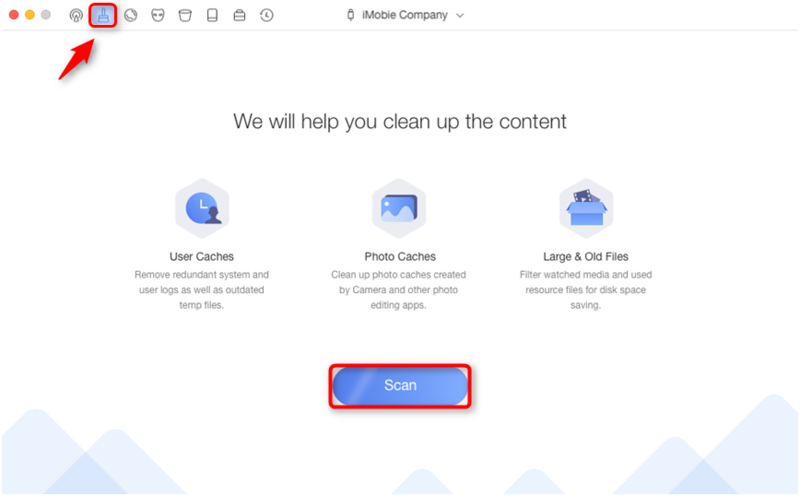 Download the iOS cleanup tool to clear cache on your iPhone after reading this guidance on how to clean iPhone cache to free up space. It must feel amazing to own a brand new iPhone as new iPhones generally run fast. However, the longer you use your iPhone, the slower it gets. Why? That is because caches generated through everyday usage are eating up your iPhone storage. 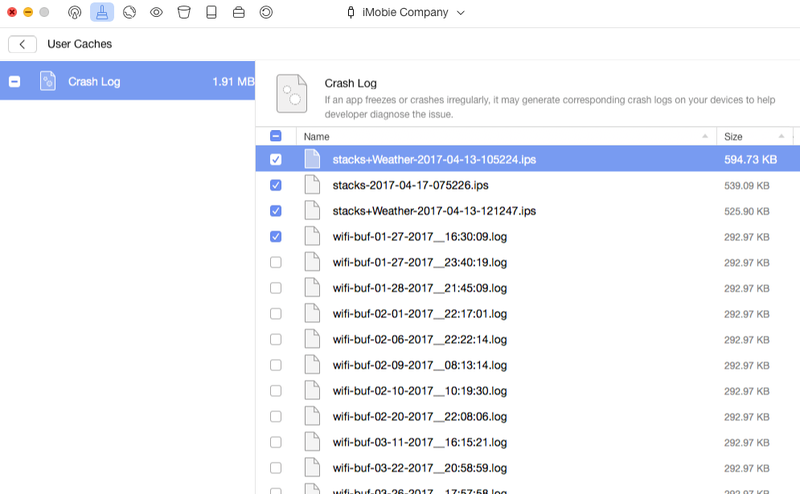 So what can you do exactly to clear these useless caches on your iPhone? In the following, we will offer three methods to help you with it. Keep reading. As the default web browsing app on iPhone, Safari would be often used in our daily iPhone lives. A lot of web browsing also means a lot of cache generated. So how remove these Safari cache? 1. Go to Settings app. 2. Scroll down to find Safari app, and tap it. 3. There will be Clear History and Website Data option, and choose it. It will not only clear cache, but also all other information in Safari, such as browsing history, passwords, etc. For the third apps installed on iPhone, maybe many of them are designed with garbage files removing feature, but it mostly cannot clear all caches at all. So the way we can choose is uninstall them, and install them again on iPhone, if the app’s documents and data are too large. 1. Settings > General > Storage & iCloud Usage. 3. Select the app, which takes up a lot of iPhone space. 4. Tap Delete App, then head to the App Store to download and re-install it. No matter the way removing Safari cache, or app cache clearing, you probably notice that they are not very user-friendly. 1. Method 1 of deleting Safari history and browsing data will erase the account and password information. So if you have saved a lot of them in Safari, you have to log in and save them again. What a time-wasting. 2. For method 2, uninstalling and re-install small apps may be quite easy. But if the app is very large, like more than 1G, or 2G, downloading it would be a long journey. So considering these drawbacks, we recommend the Third Method to help you with iPhone cache clearing - only cache deleting, no need to remove passwords, and re-installing. To clean those stubborn caches, you may turn to PhoneClean. PhoneClean is a powerful iOS cleaner capable of help you eliminate 30 types of junk files including caches, thus fasting your iPhone. 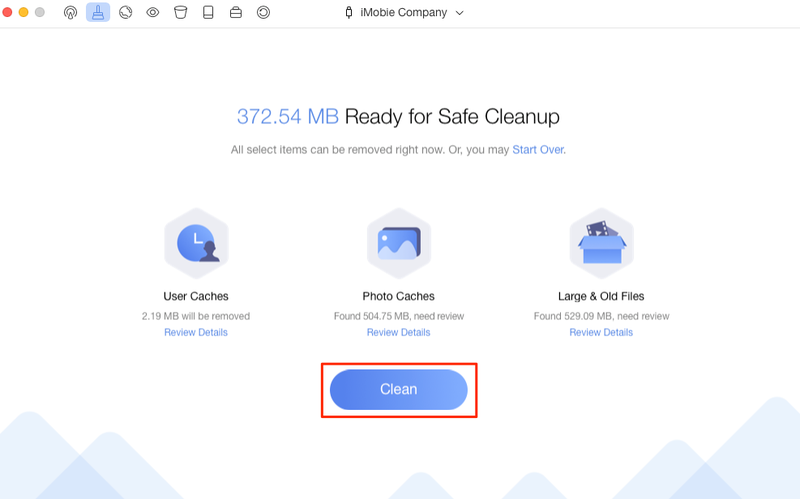 While clearing iPhone with PhoneClean, first, you can preview files before clearing so that you will never worry about the potential risks of deleting wrong files. Besides, PhoneClean scans your iPhone thoroughly so that it could help you remove as much junk files as it can. What's more, PhoneClean supports multiple-device connection. That's to say you can clean multiple devices with PhoneClean on one computer. Next, let's get down to business and see how PhoneClean helps you clean caches on iPhone. First of all, download and install PhoneClean on your computer, since it is a 100% Clean & Safe software developed by an Apple certificated developer, you don't have to worry about any security issues. Step 1. Launch PhoneClean and connect your iPhone to your computer. Tap Quick Clean on the homepage of PhoneClean, and click the Scan button. Step 2. Wait for scanning, after scanning is finished, click Users Caches or Photo Caches to view details. Select items you want to remove from iPhone, the go back to the result page. Step 3. Click the Clean button to clear your iPhone cache. Important Note: PhoneClean is capable of cleaning caches of varies kind. However, with too much private information on App Cache, all third-party software don't have the access to app caches on iDevices running iOS 8.3 and later. Therefore, if your iPhone is running with iOS 8.3 or later, this guide only helps you clean the caches generated by Apple software, like Camera Roll, iOS system, etc, and the other caches generated by other Apps are not included (the only way to clearing them is removing and reinstalling App). It is that simple to free up space on your iPhone by removing caches. Now try your iPhone again, you'll find it runs much faster after being cleaning up by PhoneClean. Have a try of PhoneClean now! Please share your ideas with us in the comments section if you like this article.